Businesses are spending billions of dollars on web-based advertising to promote their products and services. Apart from the most popular pay-per-click advertising format, companies are using direct advertising as an option. This enables them to directly connect with the publisher increasing the probability of long-term association. Web publishers offering direct advertising opportunities always look for lucrative deals that can justify the ad space occupied by the paid campaigns. If you're offering direct ad space on your website, you must know about some of the most important metrics that are assessed and evaluated by the advertisers. All these signals are vital for both the parties (advertiser & publisher) as these metrics are the deciding factor for finalizing the direct ad deal. Let's see these metrics that makes any website favorable for direct advertising. Impressive Google page rank - This is one of the most important metrics when it comes to evaluation of a website for direct advertising. Though it's not that much important nowadays from SEO perspective, companies do look at the website's page rank to determine its authority and quality. 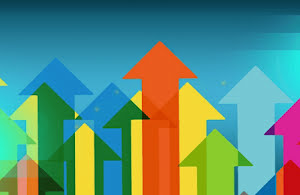 The higher is the page rank, the more is the value of your website. A page of the rank of 4+ is considered good by companies looking for direct advertisements on available websites. Google page rank is broadly governed by the number of legitimate and organic backlinks pointing to your website. There are several other factors involved in the entire calculation, but overall the quality and number of links pointing to your domain build your page rank. If you have a page rank of 4 or above, you can prominently showcase it in the statistics available for direct advertisers. Good Alexa rank - This is yet another popular signal that gives an indication of traffic coming on a website. The lower your Alexa rank is, the more it indicates about increase in traffic. If your blog is having < 100,000 Alexa rank, you can start pitching with low rate direct advertising spots. Advertisers often check the data associated with your Alexa rank that includes popular keywords that drives traffic to your website as well as the traffic trends for last 3 months. This gives them a fair indication about the quality and amount of traffic your website is receiving from various sources. High number of unique visits - Every advertiser wants to know the number of unique visits your website receives in one month. Sometimes, new publishers prominently highlight page views received by their website which is a diluted form of data about the traffic coming on your website. The most credible metric is the unique visits that give the true picture of incoming traffic on a website. Direct advertisers take this metric very seriously and use it to determine the value of a website. The higher is the number of unique visits, the more you can charge from the advertisers. Large social reach - We're living in an era where social media has emerged as a strong communication channel that can bring more business and leads for your company. New content syndication strategies involve dispersion of information on popular social media networks in an organic manner. And that's what new generation of direct advertisers look for! The more your content is being shared on Facebook, Twitter, Google+ and other popular channels, the more is the probability of receiving qualified and targeted traffic towards your website. Advertisers look for the number of Twitter followers, Facebook page fans and their engagement level with you to assess the popularity and visibility of your content. This again contributes to evaluating the overall quality of your website. Large number of RSS subscribers - Nowadays almost every website includes a mechanism for content subscription through RSS feed. It is yet another important metric to assess the reach of your website's content. Sometimes direct advertisers are also interested in displaying inline ads within the feed to reach a large number of subscribers. If your website's subscriber count is in 5 figures, you can definitely go ahead with some ad spaces within the feed, provided your audience is not annoyed by these adverts. Advertisers include subscriber count as one more signal for assessing the popularity of any website. Quality content - Every direct advertiser manually inspects the website before placing an order. The traffic alone doesn't bring money for you. The core is your content that drives the entire engine. Thin, diluted or low-quality content is often one of the reasons advertisers step back from placing direct ad orders. Your long-term strategy should include publication of high-quality content that greatly helps in convincing potential advertisers for considering your website as a direct advertising option. Potential advertisers often ask for links of top 5 popular posts on your blog or website to see how you come up with so-called 'Awesome content' and how it is going to aid in their ad campaigns. You must look at the long-term goal of milking your advertisers' base through regular publication of killer content. Killer website design - It's not just the visitors who love clean and uncluttered website designs. Quite similar to a normal visitor, an advertiser will make preliminary assumptions about your website by its looks as soon as he visits it for the first time. Professional designs aid in clinching direct ad deals as the advertisers judge the website's longevity and sustaining capacity by evaluating the time and money spent by the publisher in getting a professional and attractive web design. A good website design also ensures that ads are not lost in the cluttered space and get the desired attention. Options for advertisers - Several advertising deals are canceled despite website's huge reach in its domain. One of the reasons is the absence of enough advertising options that perfectly suits or matches with the potential advertiser's requirements. If you're opening your website for direct ads, make sure you make these four important things as diverse as possible. Placement, bid type, ad media type and ad size are four important factors that effectively increases advertising options in your inventory. Placements govern the actual rendering of ads at different locations on your website. The more prime locations you have in your inventory, the more you'll attract the advertisers. Bid type gives advertisers to choose from different advertising models like cost-per-click (CPC) or cost-per-action (CPA). This way advertiser can choose from one of the models that fulfill his requirements. Ad media type further diversifies advertisement options by offering text and banner adverts to the advertisers. And last but not the least is the size of ads. The more variety of different ad sizes you have in your inventory, the more an advertiser will have the liberty to choose his preference. You can create a dedicated page to showcase all the available advertising options so that advertisers can go through all the available options and can select the best deal for their campaigns. Reasonable rates - Sometimes, new publishers fail to come up with correct and reasonable rates for available ad spots on their websites. This is a critical factor that can boost your direct ad sales if implemented correctly. Every advertiser wants to get the best deal that includes fair rates that complement the website's value. A website with 1000 unique visitors per day can start with $0.50 to $1.00 CPM model. This is the base rate model that can be revised as you clinch more deals with the passage of time. If you struggle to set the correct rates, you can sign up with popular direct advertising marketplaces to get a fair idea about the rates that can be applied on ads available on your website. Flexibility in your approach - And last but not the least is your own flexibility as the website owner, which determines your success in selling direct advertisements. New advertisers must be given some discounts for long-term deals and you should be flexible enough to relax some of the minor rules to get started with selling your inventory. This is one of the key negotiation skills that can kick-start your direct ad selling business. Smart publishers often use this technique to not only create a pool of returning advertisers but also make sure that their satisfied customers spread the availability of ad spots through word-of-mouth marketing. This is extremely vital for new publishers who're striving to sell direct ad spots on their website. Even if the deal cancels, you must keep in touch with the potential advertisers and should make them aware of new deals available on your website. Remember, rigidness in your approach when it comes to negotiating deals with potential publishers can destroy your direct ad-selling efforts in no time.